Thank you for sharing your amazing world of photography! DOUBLE IMPACT today ! lovely capture...you give me an idea!.........juuuummmmmmm?! Amazing! Wonderful colors & sharpness! That's incredible, really big, in proportion, parasites. maybe it thinks it is an aphid? A very nice set of photos. The DOF stacking technique is very impressive and can be informative, enabling one to accurately appreciate the 3D view. Wonderful photo! 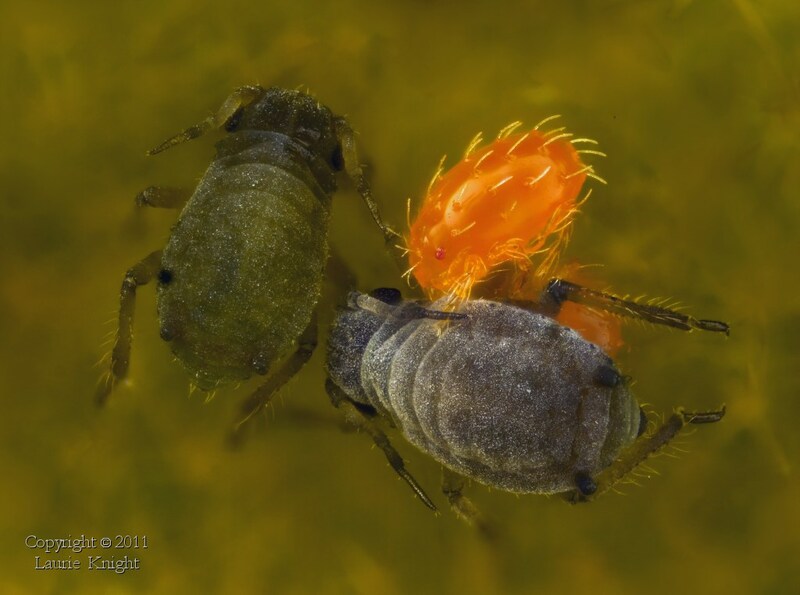 This is a velvet mite larva (Trombidiidae), almost certainly in the genus Allothrombium, which are common aphid parasites. Nice find!